Gaana also announced that more than 80 million users stream over 1.2 billion songs every month in nearly 30 languages, including Indian regional languages. Gaana has rolled out an update to its iOS and Android app to deliver a new experience by introducing better voice search to enhance the discoverability of music, and an AI-powered intuitive recommendation engine that personalises music suggestions. 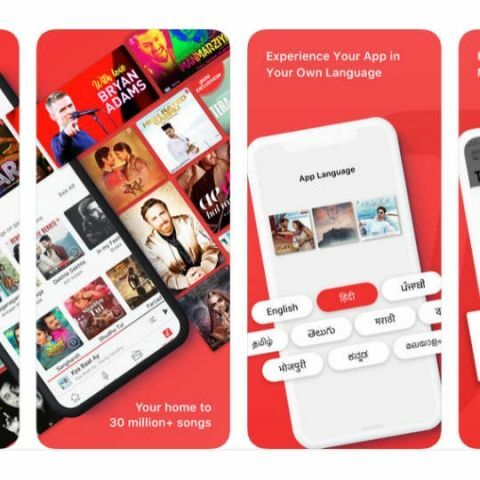 Gaana also announced that the app is now used by more than 80 million users to access over 1.2 billion streams a month across 30 languages, including Indian regional languages. “Today we are at more than 80 million monthly active users with an active subscription base. We are passionate about elevating consumer experience at every step which is why we decided to give the app a facelift to further enhance user interaction. Over the last few months, we have increased investment in machine learning and AI to improve our recommendation algorithms and today almost 15 percent consumption on the platform is being delivered through our recommendation engine,” Prashan Agarwal, CEO – Gaana, said in a statement. Hassle Free Discoverability: Users can now select their choice of music quickly by taking help of the Personalized Music Feed at Search. The app will track the users’ listening history and the machine learning models prompt suggestions, thus, saving them the drudgery of browsing through a vast library of music to make your pick. The revamped version also features a Made for you Mixes and Playlists to aid in decision making with tailor-made playlists to cater to users’ preferences. These will have tracks across genres for various occasions. Engaging Content: Gaana says that the update will make the user experience more engaging and will ensure that users experience a Fresh Content Everyday. It will filter music based on what a user has listened to and suggest new content accordingly. “AI and ML has been the key driver in leveraging the user behavior for understanding taste profiles and tailoring music listening experiences for each unique user,” Gaana noted. Easy Accessibility: The Voice Search option will make accessibility faster as it gives user the freedom to make movements on the app without having to type details of the songs. Users can search for their favourite songs by saying the name of song, singer, movie, lyrics, moods and occasions. There is also a feature that’ll let users view Lyrics With Full Screen Players. The font and the style can be changed to make it appear more legible.